Growing your own vegetables has never looked, or tasted, so good. Are heirloom vegetables more difficult to grow than conventional hybrids? 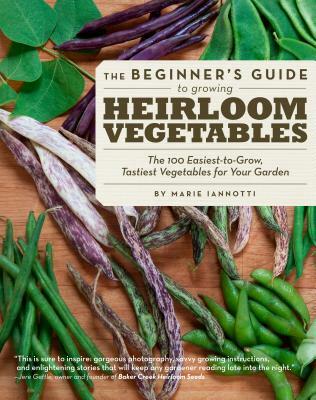 The Beginner's Guide to Growing Heirloom Vegetables debunks this myth by highlighting the 100 heirloom vegetables that are the easiest to grow and the tastiest to eat. Marie Iannotti makes it simple for beginning gardeners to jump on the heirloom trend by presenting an edited list based on years of gardening trial and error. Her plant criteria is threefold: The 100 plants must be amazing to eat, bring something unique to the table, and—most importantly—they have to be unfussy and easy to grow. Her list includes garden favorites like the meaty and mellow 'Lacinato' Kale, the underused and earthy 'Turkish Orange' Eggplant, and the unexpected sweetness of 'Apollo' Arugula.